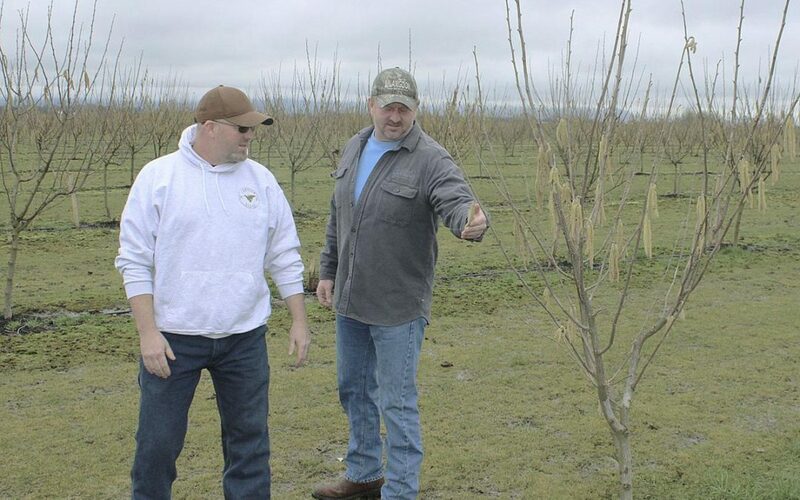 HARRISBURG, Ore. — If brothers John and Tony Langdon could back up in time, they would have planted hazelnut trees on their Willamette Valley land 10 years earlier. Instead, they got into the hazelnut business just five years ago, planting 50 acres of seedlings during the 2014-15 winter. They added 20 acres the next year and 30 acres the following year. The 100-acre orchard now totals about 20,000 trees of the Jefferson variety with the first plantings producing a small crop of nuts, about 3,000 pounds, last fall. 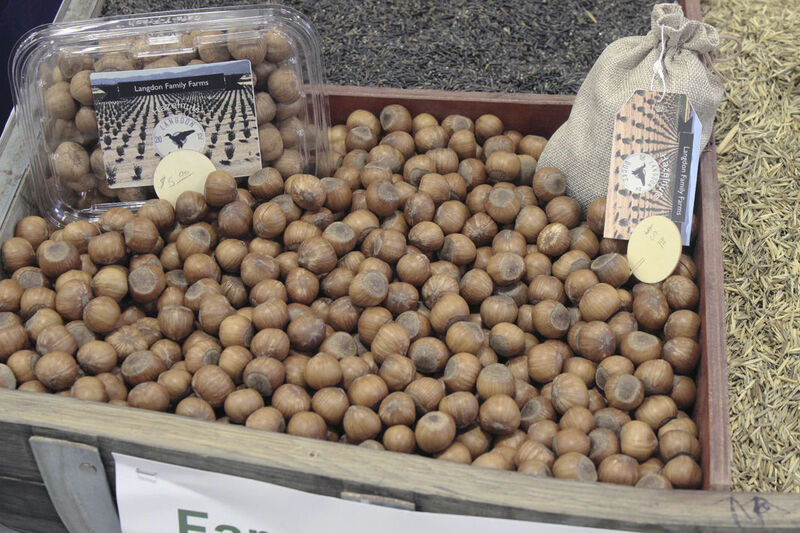 Langdon Farms of Harrisburg, Ore., has had a bin of hazelnuts on display at recent trade shows. Brothers John and Tony Langdon have visited the shows, talking to and educating consumers about both the hazelnuts and the wild rice that they grow on their farm. The decision by Langdon Farms to plant hazelnut trees came about for a couple of reasons. A ban on burning of grass seed fields in 2010 forced co-owners John and Tony Langdon, their uncle George Langdon and his son Ed Langdon to decide on a different crop for some of their property. Long-time friend and neighbor Eric Knox, who became a farm employee, was a strong proponent of hazelnuts and became the orchard manager after the first planting. The original plan was to plant 50 acres in four consecutive years, but then Knox unexpectedly died of a heart attack while working in the orchard after the first planting. 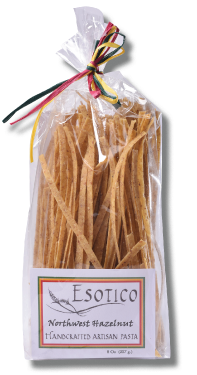 “I had to try to quickly learn everything that my best friend (Eric Knox) already knew about hazelnuts,” Tony Langdon said. The loss of their friend and hazelnut manager resulted in a change of plans, with fewer trees being planted over the next couple of years. But the goal remains a 200-acre orchard with another 100 acres being planted within the next three years. “It’s like having 20,000 babies and each needs to be attended to,” said John Langdon. In addition to planting hazelnuts on ground that was previously used to grow grass seed, the Langdons have also diversified into growing wild rice. That decision was made because, accordingly to the Langdons, there’s no other farm in their area growing the crop so there is no oversupply of it and because the same water can be used on both rice paddies and the adjacent hazelnut trees. “You can be more efficient with your water,” John Langdon said. 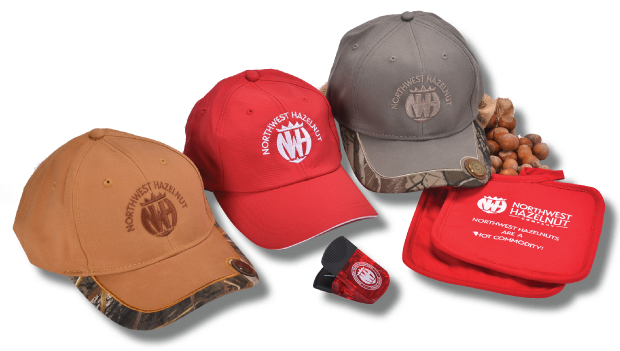 The Langdons have been marketing their 2018 crops of hazelnuts and wild rice at trade shows during the early months of 2019, at the shop headquarters near Harrisburg and through their Langdon Farms website. With a larger hazelnut crop expected later this year, the farm expects to use a broker to market and sell 90 percent of its crop with the remainder being direct marketed to consumers. John and Tony Langdon are the fourth generation of their family to continue working the ground that their great grandfather George Henry Langdon first began working in 1898. At the time, the farm had cattle, chickens, hogs, grains and hay. 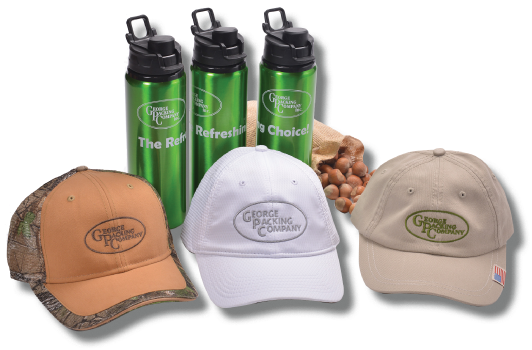 When George’s son Wilbur transitioned into the family business, he added a manufacturing and repair operation to the farm. Wilbur’s sons Jim and George were the next generation to work the farm. Jim, the father of John and Tony, died five years ago. While the farm continues to grow fescue and annual ryegrass, under the management of John and Tony, the farm has diversified into hazelnuts and wild rice.